Exert Smart Body Coolant is a unique product designed to help lower your skin temperature when suffering from an increase in temperature due to all kinds of issues. This spray creates an all day cooling effect when an increase in body temperature triggers it to start working. What a COOL idea! Exert Smart Body Coolant is giving a lucky follower a can of their own spray to try. This is perfect for just about anyone who sweats from most causes! How would you like to win a can? Entrants must be 18 or older and in continental U.S. Only. Winner will be chosen at random through giveaway tools and will be notified via email. Please add joanpenfold4@gmail.com to your safelist! Winner will have 48 hours to respond or another winner will be chosen. Please note that the bloggers participating in this giveaway are not responsible for prize disposition and the sponsor is solely responsible for distributing prize to winner. This giveaway is not in any way affiliated with Facebook, Twitter, Pinterest, Google Plus or any other social media site. I think that this would help with sweating, esp. in the summer! Hot flashes come on so suddenly, that it would be great to have something already in place that activates itself, especially in the middle of the night. I am getting older now and am just starting to get hot flashes at all times of the day. It happends at work and while i'm talking with guests. I would love to try this to see if this helps out at all. Even a little relief would be great. I don't have any, but my best friend has cancer and gets hot flashes all of the time. I would love to win this for her so she can have some comfort! Hello, This product would certainly help me with hot flashes. I don't get them often during the day but almost always at night and definitely in bed. It's' cool how it creates a barrier so the heat doesn't come all he way to the surface. Great idea! Thanks!! I would love to try this product for hot flashes, especially at night so I can get some sleep. i have sweating problems. so this would be great. I would use this when I feel too hot to sleep. I get hot when I go to bed, but have to be under covers to sleep so I'd use it for that. I would LOVE to try this! I usually get really hot when I am laying in bed, or even just sitting playing cards or something. If this would help, I can't even imagine how amazing that would be. I am so embarrassed about how sweaty I get! My hair gets wet, and my neck does too. How gross huh? At least I know I'm not the only one! This would help when I get hot flashes. Awesome giveaway! I would love to try this. I have hypothyroidism and sometimes get super cold but there are times when I have hot flashes. 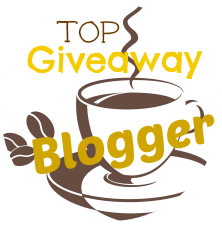 Please feel free to add your link to my blog giveaway link-up at theunextreme! Have a great day! I would love to try this especially after a hard workout. Also I would like to see if it works on hot flashes. Love to try this after a long hard workout. Also for hot flashes. It might help with my body heat when I'm working out!